In today’s competitive marketplace, it’s more important than ever to make the very best, informed decisions when it comes to purchasing machinery for your organisation. 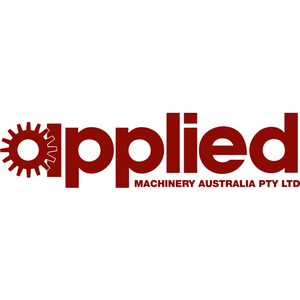 At Applied Machinery, we have been supplying plant and equipment to Australian industry for over 25 years! Over the years, we’ve become one of Australia’s largest and most respected dealers of new and used sheetmetal, engineering and plastics & recycling machinery. Our two huge factories hold a massive range of machinery in stock and ready for immediate sale and delivery. Come in to our showroom at 55-61 Nissan Drive Dandenong to see Australia’s largest range of new and used machinery under one roof. Pressbrakes, Turret Punch Presses, Laser Cutting Machines, CNC Lathes, Machining Centres, Plastic Injection Moulders, Granulators, Shredders, Bandsaws, Guillotines, Panbrakes, Mills, Drills, Conventional Lathes and much, much more! At Applied Machinery, our customers come first. Our service and sales network stretches across Australia, ensuring that we support our new and existing customers no matter where they are located. Our dedicated team of sales and service engineers have well in excess of 150 years combined experience in the industry and are always on call to attend to the sales and support needs of our ever-expanding customer base. Put us to the test. Call Applied Machinery on +613 9706 8066 and let us find the right machine for your company. Whether you are in need of the latest in fiber laser technology or a simple milling machine, let Applied Machinery find you the best machine for your organisation ….. at the right price.